Our recent trip to All Saints in Gerrards Cross has come to the notice of their local paper, the Buckinghamshire Advertiser. Not that we are media tarts or anything. Oh no. This entry was posted in Dance Outs, Press on June 8, 2017 by Jim Hague. Somehow we seem to be managing quite a media blitz at the moment. 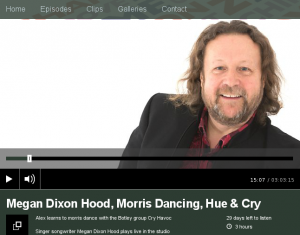 Fresh from our Oxford Mail appearance, also picked up by its sister publication the Oxford Times, Mick and Jim found themselves talking to Alex Lester on afternoon BBC Radio Oxford slot, and even playing a quick tune as well. The action starts 14 minutes in. We even spent couple of minutes teaching him a little dancing. 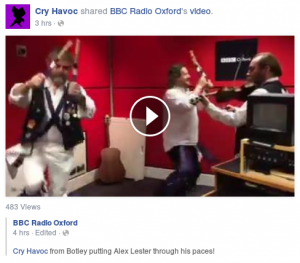 Teaching BBC Radio Oxford’s Alex Lester a dance. This entry was posted in Press on November 27, 2015 by Jim Hague. The local press can move in mysterious ways. 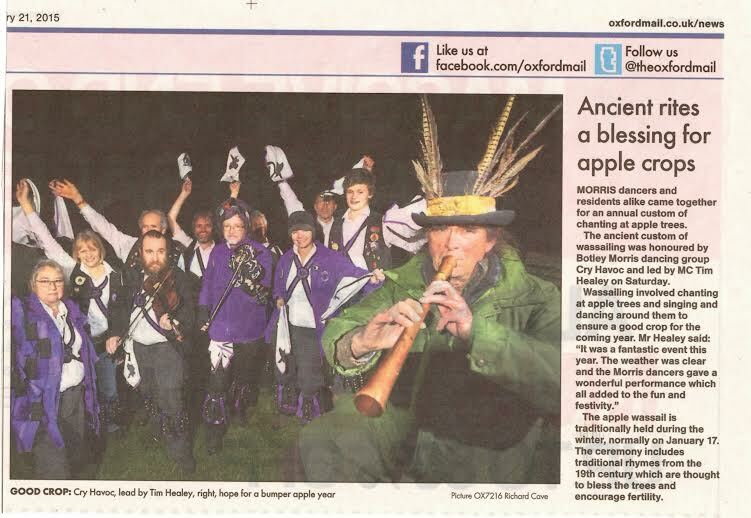 But it looks like the Oxford Mail likes our picture after all. 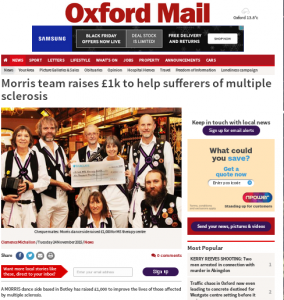 The Oxford Mail reports on our charity fundraising for 2015. This entry was posted in Press on November 25, 2015 by Jim Hague.